Last season the Cal State Northridge men’s soccer team gave up a total of 23 goals on the year. Of those 23, 16 were scored in the second half. Despite shutting out six teams a year ago, the Matadors were clearly a team vulnerable to giving up goals in the second half of matches. In Tuesday night’s season-opener at the University of San Diego, the trend continued, as the Matadors gave up two goals late in the second half on their way to being shutout 2-0 by the Toreros. The clear-cut player of the game was USD freshman midfielder Dan Delgado. His goal in the 73rd minute broke the ice in the scoreless tie. With about five minutes remaining in regulation, Delgado put the game out of reach with an assist to forward Kyle Ochoa. Although the Matadors outshot the Toreros nine to eight, they could not find the back of the net, even with seven corner-kick opportunities. The game marked the debut of third-year sophomore Brandon Ibarra as starting goalie for the Matadors and the return of key playmakers Rafael Garcia, Devin Deldo and Moy Gomez, who were plagued by injuries a season ago. Despite giving up two goals in his debut, Ibarra appears to have edged out freshman Michael Abalos for the starting job, after a summer of competing neck and neck. Both Deldo and Gomez came off the bench, while Garcia started at one of the midfield positions. Also significant was the start of senior Robert Pate at forward alongside senior Cameron Sims. 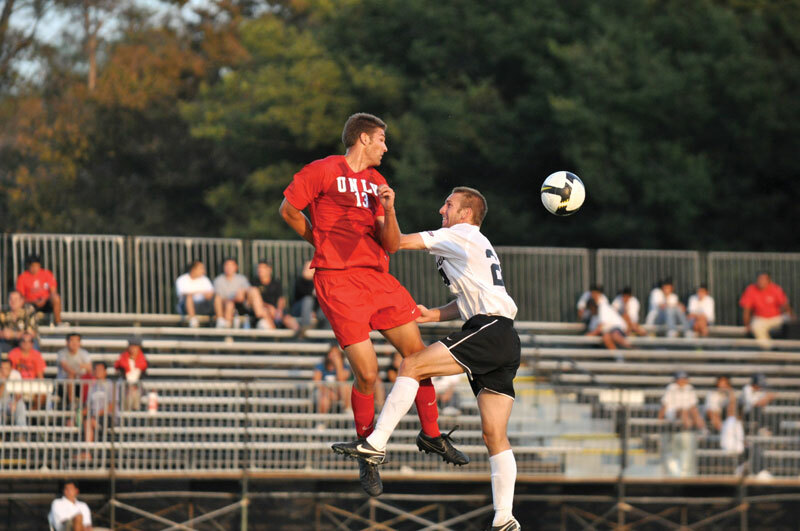 Pate, a defender last season and All-Big West Conference Second Team member, has been moved up to forward. Coming into the game CSUN Coach Terry Davila’s record in season-openers was a superb 8-1-1, but Tuesday’s loss prevented the 11th year coach from continuing his first-game success. His squad now needs to forget their season opener loss and adjust toward their home-opener on Sunday against Loyola Marymount University at Matador Field. The Lions will head north having won their season-opener behind the dynamic, two-goal performance of forward Rafael Baca. They also feature last season’s WCC Freshman of the Year in defender Roger Downes. LMU is out to improve on last year’s WCC fifth-place finish, in which it went 7-8-5 overall.